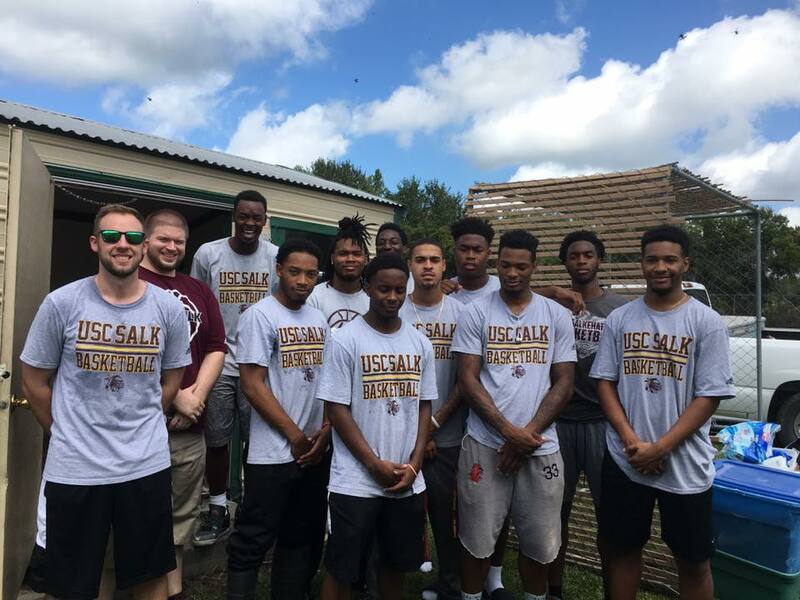 Thank you to the USC Salkehatchie Basketball team! The sophomore players from USC Salk with coaches Williams and Mayo helped to move cages, food, and a freezer at the Colleton County Animal Shelter today. This work will better preserve donated food, give space for 12 more animals, and open up another kennel area.